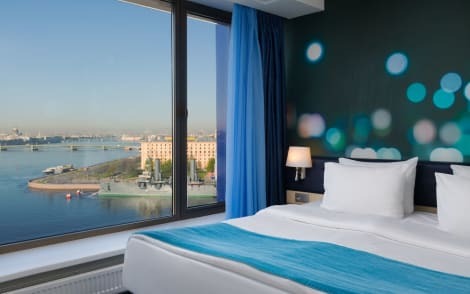 With a stay at AKYAN St.Petersburg, you'll be centrally located in St. Petersburg, within a 10-minute walk of Oktyabrskiy Big Concert Hall and Vosstaniya Square. 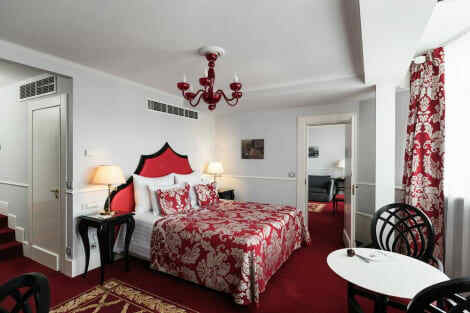 This 4-star hotel is 0.3 mi (0.5 km) from Stockmann and 0.9 mi (1.4 km) from Galeria. Make yourself at home in one of the 196 air-conditioned rooms featuring refrigerators. Complimentary wireless Internet access keeps you connected, and cable programming is available for your entertainment. Private bathrooms have complimentary toiletries and hair dryers. Conveniences include desks, as well as phones with free local calls. Featured amenities include limo/town car service, express check-in, and complimentary newspapers in the lobby. For a surcharge, guests may use a roundtrip airport shuttle (available 24 hours) and a train station pick-up service. At Boutique Hotel Golden Triangle, enjoy a satisfying meal at the restaurant. Quench your thirst with your favorite drink at the bar/lounge. A complimentary hot/cold buffet breakfast is served daily from 7 AM to 11 AM. Featured amenities include a business center, dry cleaning/laundry services, and a 24-hour front desk. For a surcharge, guests may use a roundtrip airport shuttle (available 24 hours) and a train station pick-up service.